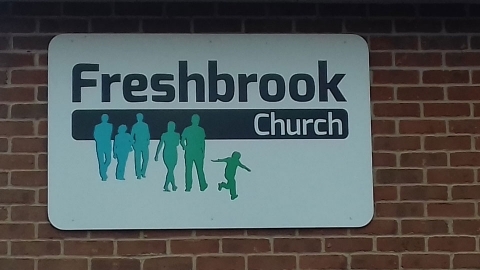 Freshbrook Church | Veg Attack! 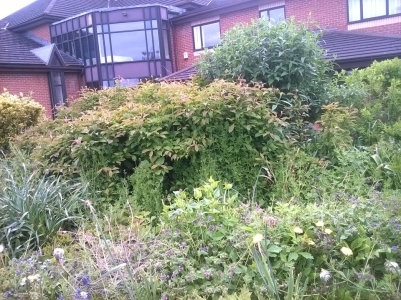 Incredible Edible started over 15 years ago in Todmorden,Yorkshire. 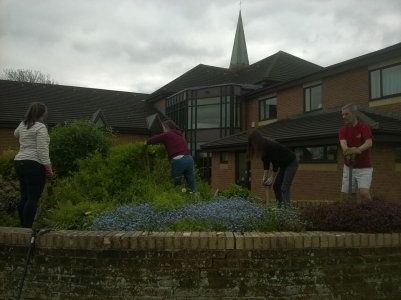 Essentially it was guerilla gardening that got out of hand! Now there are groups all over the UK and further afield. Some groups (Bristol for example) are extremely active, and others concentrate on just one or two patches. 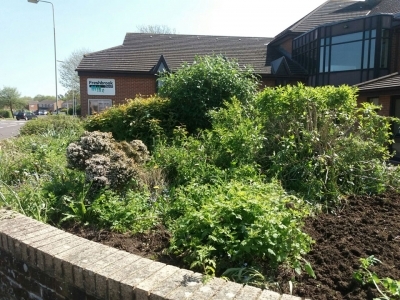 The common denominator, however, is turning patches of unused land into edible plots with and for the good of the local community. 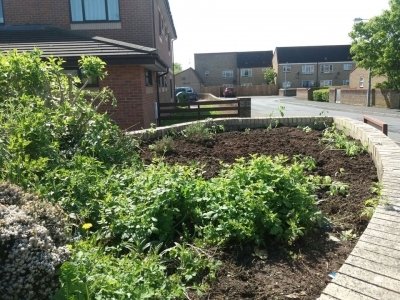 Incredible edible is a catalyst to help get the project started and offer advice and some plants but the community can sow, hoe and reap for themselves as well. The latest willing participant of this guerilla action is, as you see, our very own church. 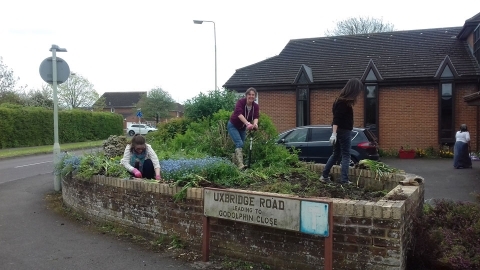 Incredible Edible Swindon currently have 5 areas in West Swindon, with Freshbrook Church now becoming number 6. They are not all maintained at the same rate as they depend on the community that surrounds them. 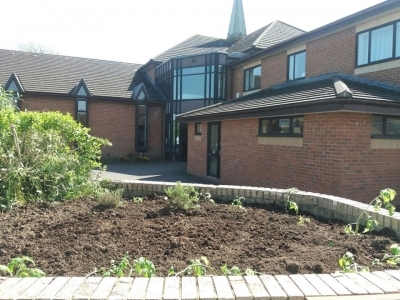 In addition to us, there are also plots in Godolphin Close and Freshbrook Centre (by the school). 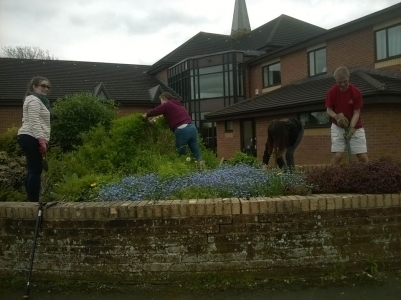 The valiant volunteers managed to clear nearly half the bed.There are plans to do the rest at a later date. So if you’re interested in helping, please do contact the church. 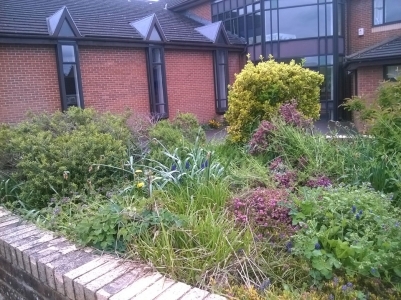 We are very grateful to Incredible Edibles Swindon for descending on us with this great idea. If you’d like to find out more about what they do, please do to go to their web site. Who knows, you may be next! This entry was posted in Uncategorized on May 6, 2018 by Ray Cheung.